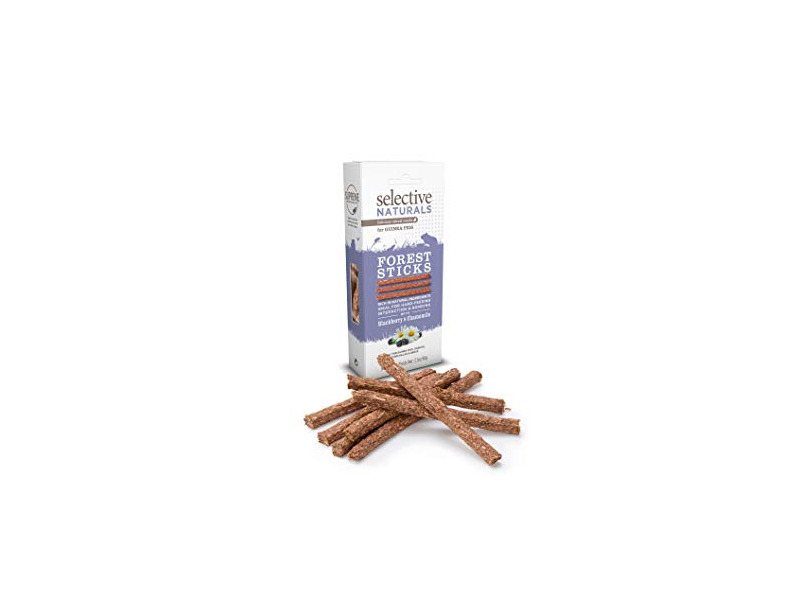 Natural tasty treats high in fibre and rich in natural ingredients. Ideal for hand-feeding, interaction and bonding with pet rabbits, guinea pigs, degus and chinchillas. 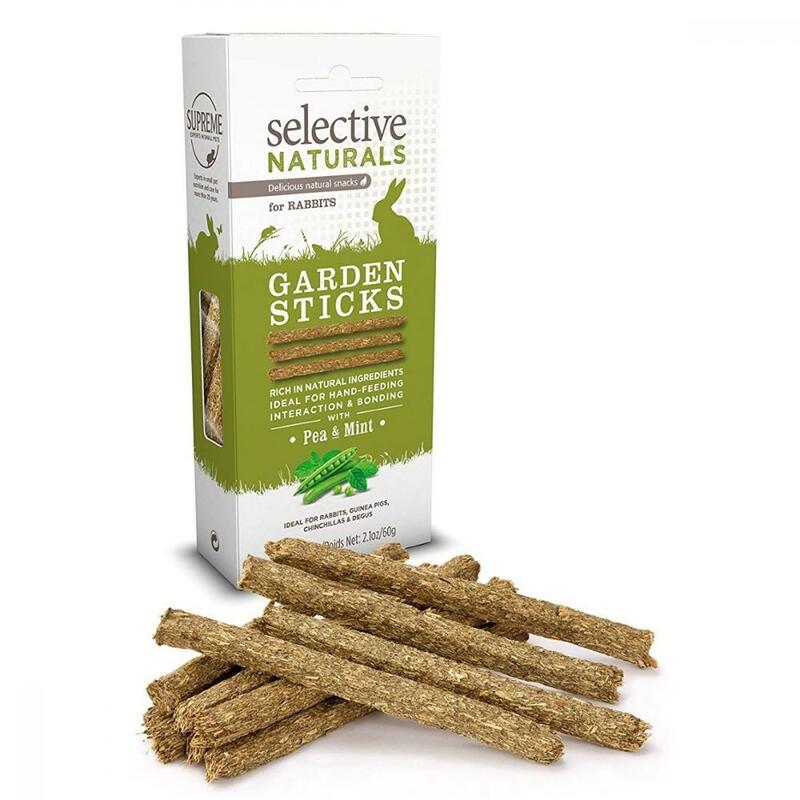 Selective Naturals Garden Sticks (Pea & Mint) And (Blackberry & Chamomile) are delicious and nutritious treats that can be given has a complement to your pet’s regular diet. Perfect for hand feeding, interaction and bonding. Ideal for Rabbits, Guinea Pigs, Chinchillas and Degus. 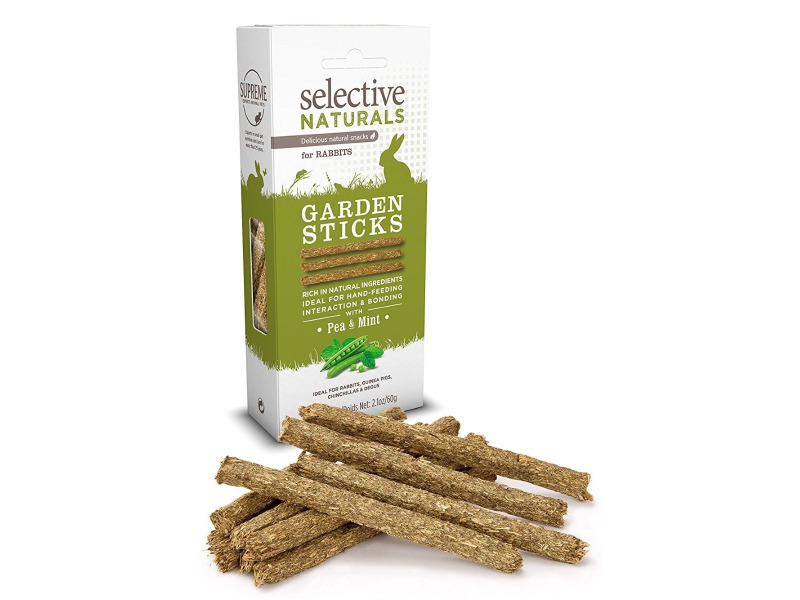 There are currently no questions for Selective Naturals Sticks - be the first to ask one!